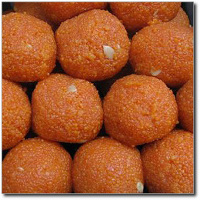 If you are a fan of Indian food, then you must try Indian sweets. Indian sweets, known as mithai are made with sugar, milk and condensed milk, and cooked by frying. The bases of the sweets and other ingredients vary by region. Gulab Jamun, Ragoola, Kaju Rolls, Kaju Barfi, Cham Cham, Sandesh...the list goes on and on. Indian bakeries on the other hand offer cakes that are popular in India such as cakes with pista or eggless cakes. The good news is that Indian sweets and cakes are now available in many Indian Grocery stores and specialized Indian Sweets stores and bakeries . We have over 200 listings around the world and will be updating our listings on a regular basis. A very commonly made statement is that Indian Food is unhealty. In our opinion, making a blanket statement like that gives Indian food a bad rap. Indian food just like any other food can be prepared in a healthy way and an unhealthy way. You can have a Subway Sandwich for about 250 calories or a couple of KFC Double Downs for over 1000 calories. Its really in how the food is prepared, what ingredients are used and what portions you consume. 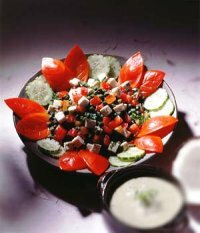 The primary reason this impression about Indian food exists is because many restaurants and folks use ingredients like Clarified butter, cream and such, in order to get the best taste. With slightly different ingredients and a small sacrifice in taste, you can still enjoy healthy Indian food. The second reason is that most Indian restaurants offer a buffet and people just eat more than needed (from appetizers to desert) and then blame it on Indian food. If you chose reasonable portions, you would be fine. Here are some tips on what you can order at an Indian restaurant is you are watching what you eat. Eat in Moderation. A successful diet is the triumph of mind over platter. Read more: Is Indian Food Unhealthy? First, a very big Thank You to everyone who participated in the content. We ran the contest for 1 month and in that time we managed to add 200 fans. The winner was selected today. You can see the pictures below. We had a lot of fun picking the winners this morning. We will send you a message via Facebook and if you are interested in the prize, please mail us your address and we will have it sent to you shortly. If we don't hear back from the winner, we will give it away to another fan. We will announce our next contest shortly. Ideas welcome.